Located in Pittsburgh, Pennsylvania, James S. Vergotz Attorney at Law provides legal counsel in a variety of matters including estate planning, probate and estate administration, elder law, real estate and business law. In any legal matter, there is usually more than one way to proceed. Mr. Vergotz's extensive knowledge of a variety of legal matters ranging from estate planning and elder law to business law, allows him to resolve issues in a way that takes your goals into consideration. Whether your matter is straightforward or complex, he can help. The knowledge Mr. Vergotz has accumulated after years of practicing makes it possible to provide thoughtful, personalized attention to everyone who comes to him for help. Attorney James S. Vergotz is a member of the National Academy of Elder Law Attorneys. In addition, he is also licensed by the U.S. Tax Court. 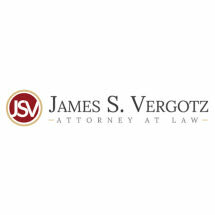 James S. Vergotz Attorney at Law provides legal assistance to individuals and businesses. After listening to your concerns, he will take the time to explain your options and answer any questions you have. This is true whether your legal matter is personal, such as estate planning or elder law, or having to do with a business. If you need help with a legal matter contact him to learn more about how he can help you.